Sydney, Melbourne, and Cairns, Australia’s most talked-about hubs, balance a healthy dose of culture and adventure. Take time to experience the cultural center that is Melbourne, checking out international restaurants, elegant buildings and parks galore. Next you’ll move onto Cairns, the perfect metropolitan hub to the northern beaches, Australia’s largest coastal rainforest and a plethora of national parks. One thing’s for sure, there’s no shortage of adventure in these parts. Lastly, you’ll finish up your time in Australia in Sydney – the most iconic of them all. Take in the Opera House, view the city from atop the Harbour Bridge or people watch on trendy Oxford Street. With plenty of time to experience these three exceptional cities, the Australian Experience is the perfect customizable itinerary built to suit anyone’s needs. At first glance, Melbourne may resemble any other modern city with its skyline full of concrete and glass. However, if you look a little closer, you’ll find the real Melbourne, a city of unique charm. There are the clanging trams (street cars), swanky boutiques, friendly taxi drivers, Australian Rules Football, fickle weather and ‘BYO’s’, by the hundred (restaurants to which you bring your own liquor or wine). Add to this, Melbourne’s traditional virtues of tree lined boulevards, glorious parks, elegant buildings and imposing Victorian Banks and Churches, and of course the giant Melbourne Cricket Ground and you’ll have some idea of the city. Have you ever been to a city and wondered what all the fuss was about? Or wasted time trying to find that cool local cafe you were told of, then ended up missing everything? Melbourne’s arcades and laneways hide many of these answers. 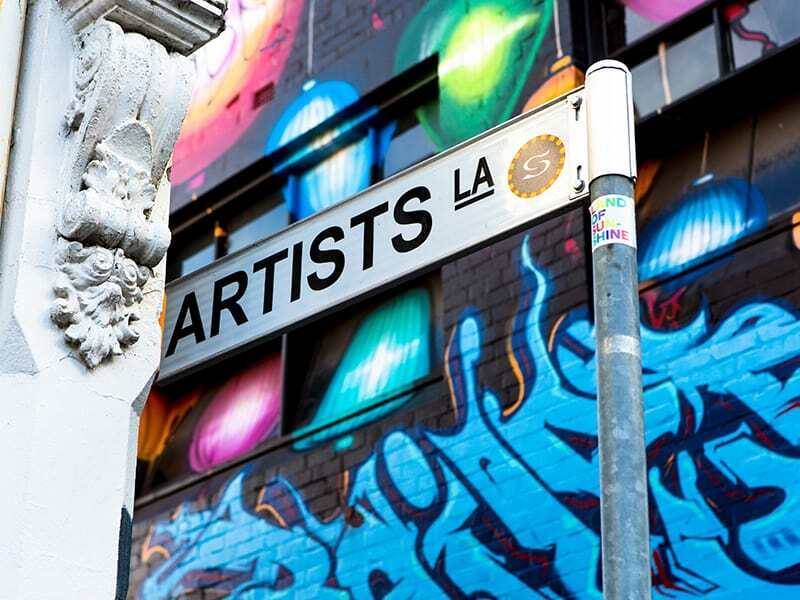 Join this indulgent morning walk through Melbourne’s beautiful back streets, and become orientated in the life of the city that locals love. Renowned for its quality wines, specialty foods and breathtaking scenery, the Yarra Valley is the ideal place to enjoy a day away from the city. Depart Melbourne for the Yarra Valley where your day will start by learning how to swirl, sniff and slurp some of Yering Station’s award winning Australian wines. You will spend time at the tasting table, a great opportunity to make a wine selection for lunch. Next, head off to Yering Farm to learn some true winemaking techniques. Finally, visit Domaine Chandon, French champagne company Moet & Chandon’s Australian production house. Enjoy a guided tour and a relaxing glass of Australia’s best bubbly before heading back to Melbourne. Melbourne, the capital of Victoria and a cultural hub, is known for the good things in life – fashion, food, entertainment and sport. This is a city of style, architecture, trams, theaters and art. The influence of decades of immigration from all over the world has made Melbourne a paradise for those who love food and wine. Whole streets are dedicated to food, whether it is Indian, Spanish, Italian, Japanese, Chinese, Greek, or a host of other styles. You can’t miss the world-class wines either. You’ll barely meet a visitor who hasn’t fallen in love with Melbourne; rattling trams, parklands singing with blackbirds, stately architecture and palm trees. Depart Cairns wharf on board the ‘Ocean Spirit’, a luxury 105ft sailing vessel – the largest of her kind in the world. Sail to Michaelmas Cay, known as the Isle of the Birds, a year-round home to thousands of sea birds of some 14 different species. Its spectacular coral reef, which thrives in the ideal conditions of clear, shallow, sunlit water, is home to a variety of marine life including giant clams and brilliant fish. Because Michaelmas Cay is a National Park, the fish are so tame you can feed them from the beach and birds know they are safe to wander among you with their chicks. The Bridge Climb is a 3.5 hour guided journey to the top of the Sydney Harbour Bridge. It takes you along the outer arch of the bridge on catwalks and ladders all the way to the summit, 400 feet above Sydney Harbour. In climb groups of up to 14 people, you’ll be led by one of Bridge Climb’s professional Climb Leaders on an adventure of the world’s most recognizable bridge. The steady incline to the summit leaves you free to focus your attention on your Sydney experience, with opportunities to witness 360-degree views of Sydney, including east to the Sydney Opera House, west to the Blue Mountains and the Harbour city surrounds. Board a luxurious cruiser for a delightful lunch cruise on one of the world’s most beautiful harbors. A lively commentary on board provides you with knowledge of Australia’s history as well as plans for its future. Enjoy the amazing sights, on-the-harbor lunch, and peaceful cruise.